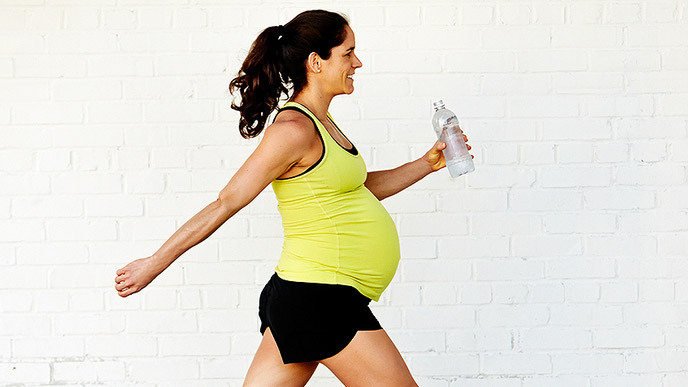 Even if you don’t plan on getting pregnant anytime soon, starting a consistent exercise routine now could mean a healthier heart for your future child. A new study led by Dr. Patrick Y. Jay, an associate professor of pediatrics and genetics at the Washington University School of Medicine, found that exercise in pregnant mice reduced the risk of having a baby with a heart condition. As congenital heart disease is one of the most common birth defects in the U.S. and impacts one in 100 children, researchers hope these findings will have implications for humans as well. As much as scientists and cardiologists would like to lower these statistics, any damage to the baby’s heart is often already done before it’s discovered since the heart develops within the first 10 weeks of pregnancy. That said, a mother’s fitness habits may be the best prevention and should be started pre-pregnancy, if possible, and after consulting a physician. Researchers suspect that exercise encourages metabolic changes within the uterus and may release substances from muscles and other cells that are beneficial for the baby’s heart. And before you get anxious about having to run every day, the researchers note that even a brisk walk could make a substantial heart-healthy difference. Source: New York Times: "Mothers' Exercise May Lower Heart Risks in Newborns"